Rachel Von | The Journal Gazette U.S. Red's Amanda Dennis, front, and Lisa Czechowski work together to block a shot during the goalball gold medal match Wednesday against Israel at Turnstone. U.S. Red won the match 10-3. Rachel Von | The Journal Gazette USA Red's Amanda Dennis stops the ball during the goalball Gold medal match against Israel at Turnstone Center For Children and Adults with Disabilities on Wednesday. This summer's International Blind Sports Federation Goalball & Judo International Qualifier at Turnstone is still nearly three months away. However, the U.S. women's team got a head start in scouting the competition this week, as Turnstone held the War on the Floor tournament, featuring five international teams who will return to Fort Wayne for the qualifier this summer. “This is kind of a nice little warmup for what's to come in July,” said Lisa Czechowski, a U.S. team member. “It was great to bring these teams out here and just get a chance to play against each other. 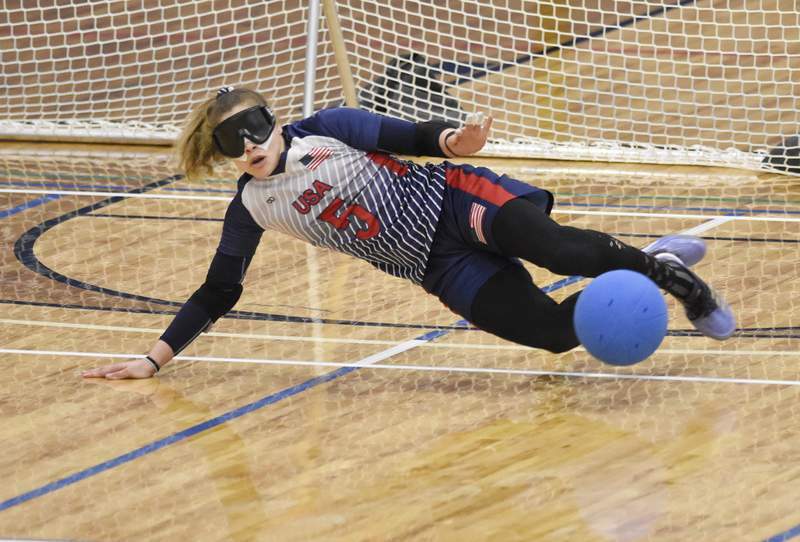 Not only did Turnstone and U.S. goalball get a chance to do a test run for the 2020 Paralympic qualifier, but they also took home a gold medal. The U.S. split up into two teams for the tournament, Red and Blue, just to give athletes more playing time. In the round-robin format, it was U.S. Red, composed of Czechowski, Ali Lawson, Amanda Dennis and Shavon Lockhardt, that defeated Israel 10-3. Earlier, U.S. Blue collected the bronze medal in a 3-2 overtime thriller over Australia. Turnstone is expecting 16 male and 16 female goalball teams this summer and roughly 200 athletes. U.S. men's goalball coach Matt Boyle, who helped organize War on the Floor, said this tournament was a good precursor for July's main event. “When you run a tournament with this few amount of teams you can focus on the small details,” Boyle said. Boyle said there's also an immense amount of advantages for the international teams that can play a tournament here now to get the feel and lay of the land, especially in a sport such as goalball, which relies heavily on environmental factors. 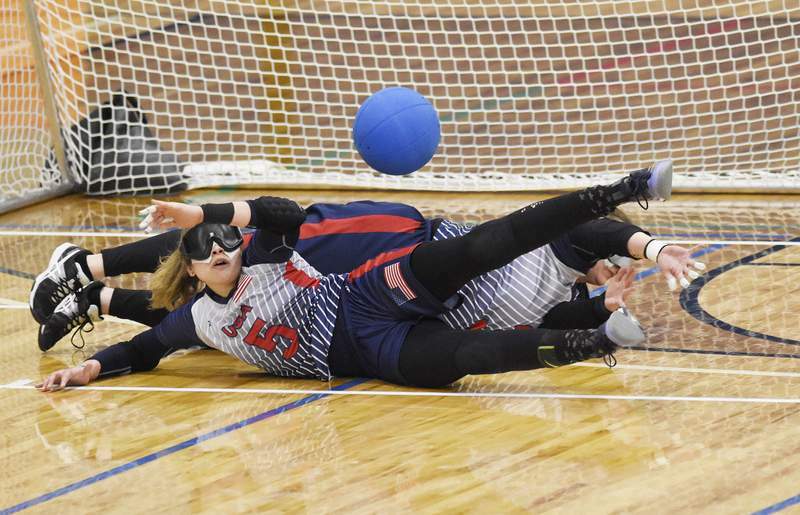 “It's really good for them because the environment in goalball, like the acoustics in a room or the way the ball behaves on the floor, those are things that are different everywhere you go,” Boyle said. The goalball international qualifier takes place June 28 to July 10, and the judo qualifier is June 30 to July 6. The publicity and excitement surrounding the event is already in full swing. “I just think it's great for Turnstone in general just to get the word out there of who Turnstone is and what they do,” Czechowski said.